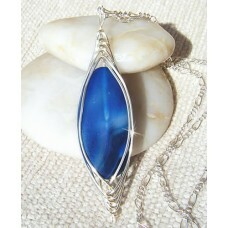 Blue veined agate semi-precious stone with herringbone wrap in silver plate. 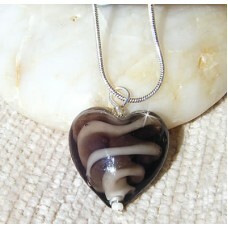 Complete with 23"..
Brown oblate lampwork glass heart. 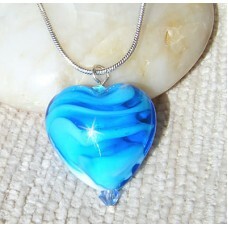 Available in 5 different colours, blue, gold, pink, brown o..
Gold oblate lampwork glass heart on 18" (45.72 cm) sterling silver chain. 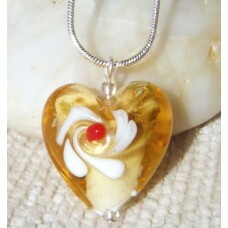 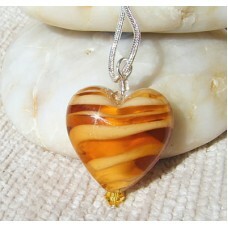 Available in 5 different c..
Glass golden lampwork flower heart pendant with 18" (45.72 cm) sterling silver snake chain and gift .. 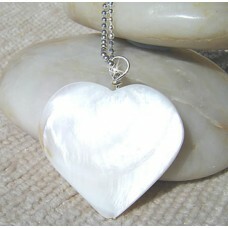 Mother of Pearl heart pendant on 18" (45.72 cm) sterling silver chain. 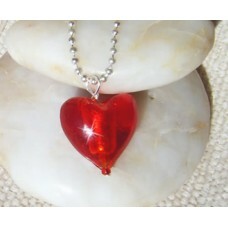 Metaphysical & Heali.. 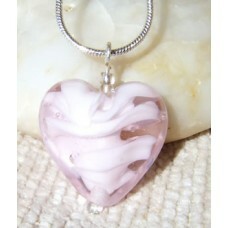 Pink oblate lampwork glass heart on 18" (45.72 cm) sterling silver chain. 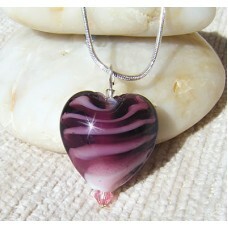 Available in 5 different c..
Purple oblate lampwork glass heart on 18" (45.72 cm) sterling silver chain. 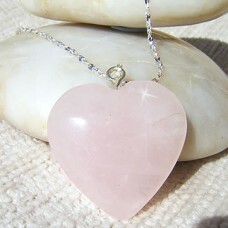 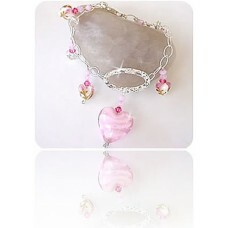 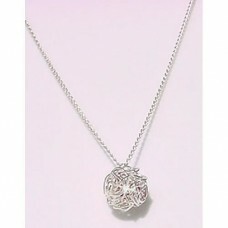 Available in 5 diff..
Rose quartz heart on a 18" (45.72 cm) sterling silver chain. 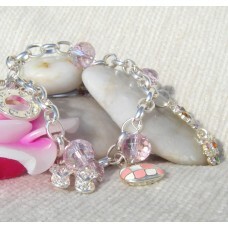 Lowering stress and tension in the hear..
Sterling Silver and Pink and White Striped Lampwork Heart Glass Bead Bracelet with Swarovski Crystal..
Sterling Silver Charm Bracelet. 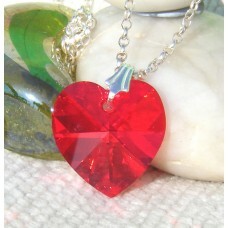 Length 19 cmWith charms of baby booties, flip flops, designer bag, b..
Swarovski Crystal heart pendant in Red, Light Green or Mid Green. 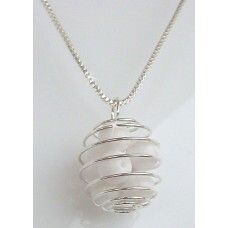 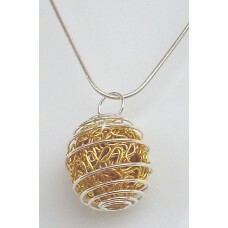 Accompanied with a 18" (45 c..
Red glass heart on 18" (45.72 cm) ball chain made of 925 sterling silver.This hot pendant will ..
White glass beads in a Silver Plated cage Pendant on an 18" (15.24 cm) Sterling Silver cha..
Wiggly Silver plated wire ball pendant surrounding red bead with Sterling Silver 18" (45.72 cm)..